Machine Gun Preacher DVD and Blu-ray release date was set for June 5, 2012. 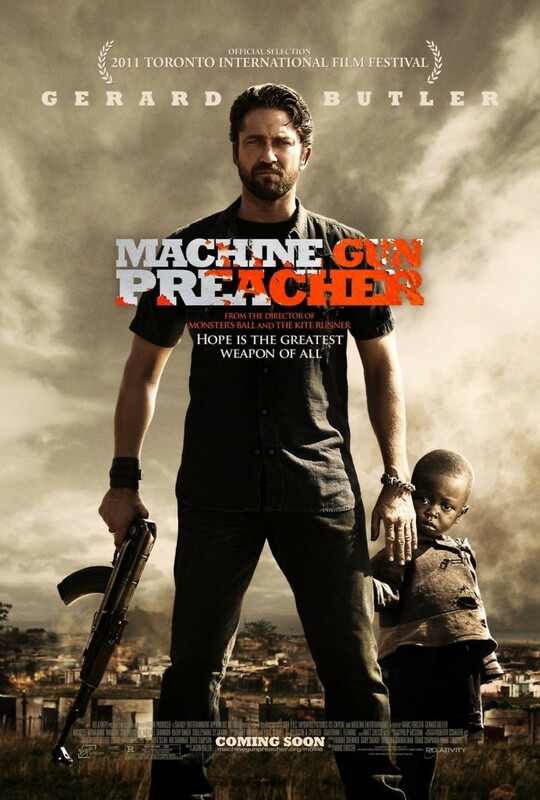 Machine Gun Preacher follows the real life story of Sam Childers, a drug using strong armed biker turned construction business owning preacher, as he attempts to help the lost children of Southern Sudan. Sam joined a mission group to help repair a village in Southern Sudan, but a chance encounter with a dead child prompts him to make a pledge to do everything possible to help the children affected by the war. Sam returns to Africa to build an orphanage and take up arms in order to rescue children from the Lord's Resistance Army, all while attempting to balance his family life at home.